We want every patient to be able to get the timely dental care they need to enjoy a healthy, beautiful smile. That’s why we offer in-house financing for our patients. Whether you don’t have insurance at all or just need help with deductibles, copays or non-covered treatments, we have a solution that can work for you. From braces, crowns to implants, we are here to help you pay for the dental treatment you need with fast online application and flexible payment plans. Don’t postpone your dental care one moment longer! Online applications are for individuals only. If you will need a co-signer please stop by one of our locations to fill out an in-house application with your co-signer. After your application has been submitted you will receive a response via phone/email. Amounts financed are based on dental treatment plan/credit. *Treatment must be done within 30 days of application or subject to credit re-approval. Are you a current patient with a treatment plan? Is this a joint claim? 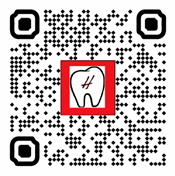 By applying for this account or accepting a prescreen offer, I am asking Higginbotham Family Dental (HFD) to issue me an In-House Payment Plan, and agree that: All information I am providing in this application to HFD is correct in its entirety, and they may obtain information from others about me (including requesting reports from consumer reporting agencies as a soft pull, employment & Wages, and other sources) to evaluate my application or determine whether to start an in-house payment plan account, and to review, maintain, or collect my account. I have read the prescreen Disclosures, credit terms and other disclosures and have been provided my credit limit applicable my account. HFD reserves the right to refuse to open an In-House Payment Plan account in my name if they determine that I no longer meet the HFD credit criteria or if I do not have sufficient income.